Lifeworks Learning partners with long-term care associations to 1) secure funding for the program from an appropriate funder, and 2) to roll out the program in their area by conducting the train-the-trainers session. Contact us for a free consulation to discuss replicating this program in your area. The Geriatric Nursing Assistant Career Development credential is a career ladder program designed to provide a career growth opportunity for CNAs who want to progress in their careers, within the CNA scope of practice. The program uses a book developed by Karl Pillemer and Rhoda Meador, which contains all the materials you need to conduct a career ladder program in your facility. Based on best practices and field-tested in hundreds of facilities, it includes the full career ladder curriculum as well as all the resources you will need to successfully implement the program. The curriculum includes nine modules on the following topics: Safety First, Teamwork and Cooperation, Aging and Illness, Communication, Nutrition, Spirituality and Dying, Resident Quality of Life, Dementia Care, Importance of Family. Participation in this career ladder program can offer CNAs a sense of pride and feeling of professionalism in their position. If your facility invests the time and energy, this program will help you reduce your facility’s CNA turnover, save you money, and build a more loyal staff. The program has recently been implemented through a partnership between the New York State Foundation for Quality Care and Lifeworks Learning. 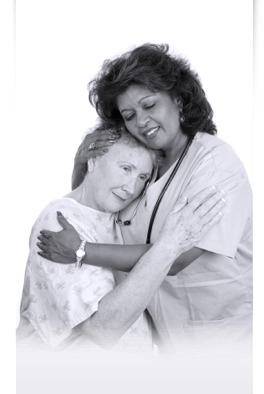 With funding from the Langeloth Foundation, the program operates throughout New York State to improve recruitment, retention and skill development of Certified Nursing Assistants (CNAs) working in long-term care facilities. The program will develop a recognized advanced credential for CNAs and assists long term care (LTC) employers to institutionalize career ladders for CNAs. This grant funded program will provide training to approximately 72 nurse staff developers and 360 CNAs over a 3-year period. Teams from participating nursing homes are trained in a full-day train-the-trainer session to go back to their facilities and train exemplary CNAs, using the turnkey curriculum. Instead of a career, most CNAs are offered a locked-in, no-growth job which almost ensures that they will eventually move on to something else. CNA career ladder programs have been developed to address this problem. They have been implemented and evaluated by numerous organizations and have proven to have measurable success in improving staff morale and decreasing staff turnover. The use of career ladders is recommended to reward deserving CNAs and allow them an opportunity for career growth. Career ladders increase a CNA’s self esteem on the job by rewarding them for work well done and providing opportunities to develop both technical and personal skill.